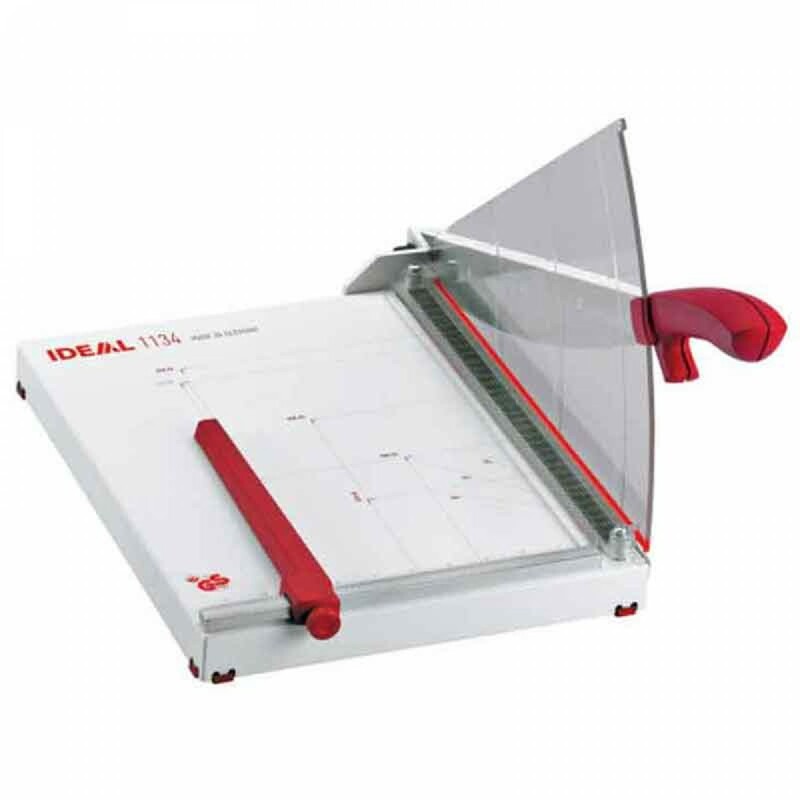 The MBM 1134 Triumph Ideal 13 3/4" Lever Style Tabletop Guillotine Trimmer saves time and money. Solingen steel blade set may be resharpened manual clamp transparent Lexan safety guard with integrated cutting line indicator precision side guides scaled in inches and metric system adjustable back gauge standard paper sizes indicated on table non-skid rubber feet for safe operation heavy duty blade mounting bracket all-metal construction. Dimensions (D x W x H): 22 1/4" x 13 1/4" x 12"